One of the biggest attraction for businesses converting over to cloud based infrastructures are the services that is has to offer as part of that transition. Companies who rely on computers and technologies spend thousands upon thousands of pounds each year on licenses for software. Generally, the bigger the business, the bigger the number of staff and this becomes increasingly problematic when each of these staff require a computer with specific software in order to do their job properly. Although businesses are able to get multi user licenses with their software purchases, it is very rare that one license will cover an entire company. This therefore results in several licenses being bought and with this comes extra costs. Every time a new member of staff is employed, a new license must be obtained and for large, fast growing businesses this presents an obvious issue regarding finances. With individual licenses costing in excess of £100 on average, it is easy to see why businesses are looking at alternative ways to get around this expense. With the option of cloud based solutions becoming increasingly appealing to businesses of all sizes due to the benefits such as global access, one of the other major benefits is what the cloud software has to offer. 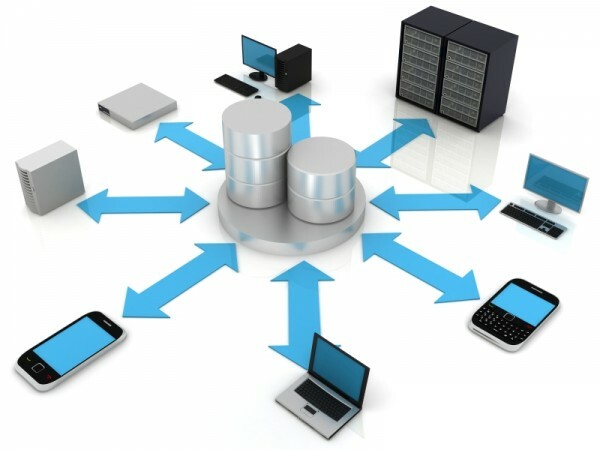 The majority of cloud based service providers offer a range of web applications such as Word, Excel and PowerPoint as part of the package when using the cloud infrastructure as these are universally regarded as the foundation tools for computers. Other applications besides document apps such as email are also offered and allow for a very appealing package to businesses. Google Docs is a good example of this as when using Google’s cloud services, it offers you free document applications and email, allowing multiple users to share single documents but also have word processors for free wherever you have an internet connection. This development in cloud software is becoming more and more popular with a large amount of cloud service providers as they know that this is a major attraction to large businesses. However, the functions provided on these word processing applications are limited to the regular user with only basic functions being available. Therefore, the business or organisation is required to usually pay a monthly subscription to the service to enable full access to all features. This option however remains to be cost effective and more financially beneficial than purchasing individual licenses. Rather than paying for individual licenses, paying a monthly subscription for the complete cloud package is a more cost effective option for many businesses and this reflects the increase in transitions to cloud based servers over the past couple of years. Offering safe and secure storage and sharing availability, it also offers the option to access it on a number of different devices and share it amongst a selected range of specified people. Useful for documents that need to be accessed by multiple users and kept up to date, web applications such as Google Docs offers this capability. With access opportunities becoming more readily available as one of the benefits to a cloud based infrastructure, mobile devices are also being more and more user friendly to the world of cloud. It is no longer a requirement for a user to have a desktop or laptop to access this database as you are now able to access the same files from your mobile or tablet device. As access availability becomes more available, so must portability and this explains why cloud based service providers are utilising the mobile aspect. More and more staff works on the move and this is especially important for these types of users. Having the ability to create, upload, share and edit on the move is an asset that is going to become more and more valuable as technology improves and demand increases. With cloud services becoming more popular, Michael Flannigan takes a look at how and why cloud software can decrease licensing costs and improve accessibility.